· Work on how to put words and images together to create a powerful message. The workshops explored the subject of integration from many angles including: what it means to us, what helps and hinders the process, the impact of negative debate and hate crime, and what creates a sense of belonging. The project culminated with an exhibition at the Guardian Newspaper's gallary of a selection of the photos from the project. 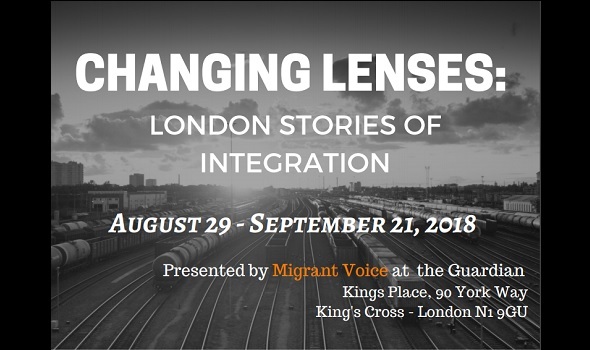 Please email anne@migrantvoice.org for more information.